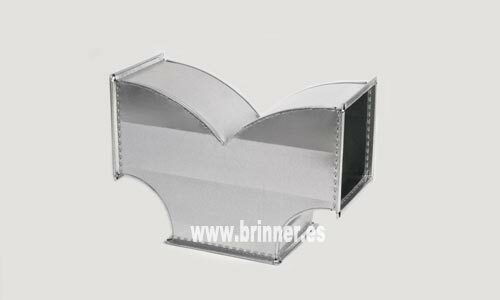 BRINNER manufactures rectangular conduit in galvanized steel sheet, stainless steel and aluminum of different thicknesses with integral profile type METU of 20 mm. or 30 mm. The CE marking is mandatory from February 1, 2013 for smoke extraction ducts. It has fire resistance tests. Available in 0.6 and 0.8 mm thickness with METU profile of 20 mm and 1.0 mm thickness with METU profile of 30 mm CE Certificate in force. Always ask the manufacturer for the document proving the period of validity of the CE Certificate as a guarantee that it is not expired. 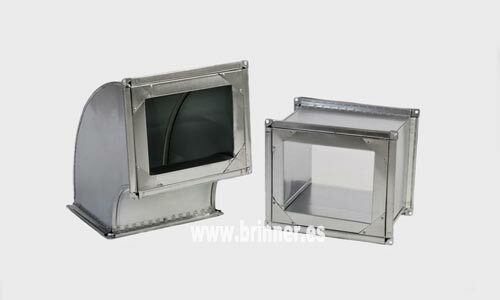 Rectangular duct interiorly insulated with glass wool blanket of 25 and 40 millimeters thick, with net fabric finish on the exposed side. Conduit with a high coefficient of acoustic absorption. Its low thermal conductivity makes it comply with minimum insulation thicknesses indicated in R.I.T.E. 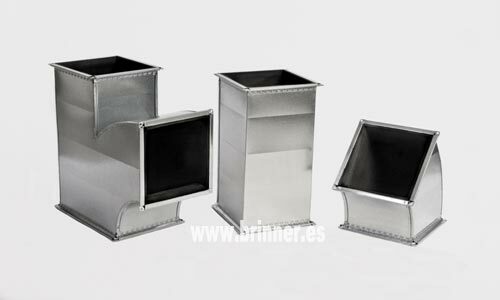 both for indoor ducts (25 mm) and outdoor (40 mm). 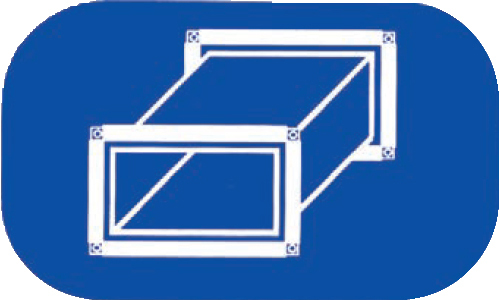 Rectangular duct internally insulated with self-adhesive elastomer foam of 10, 20 and 30 millimeters thick. The latter meets the minimum insulation thickness indicated in R.I.T.E. for indoor ducts. Double wall duct with 50 mm thick glass wool insulation. Meets the minimum insulation thickness indicated in R.I.T.E. 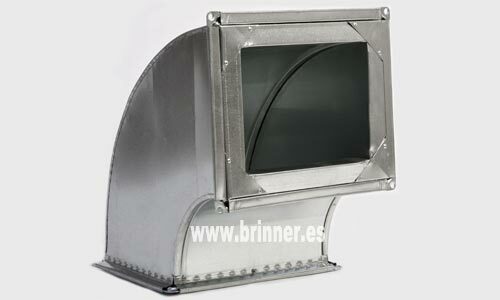 both for indoor and outdoor ducts. The inner wall is made of galvanized steel 0.6 or 0.8 millimeters thick and the outer wall in galvanized steel or aluminum 0.6 or 0.8 millimeters thick. Galvanized conduit of thickness 0.8 mm with integral profile type METU of 20 mm and for a maximum section of 1.250×1.000 millimeters, insulated externally with Ultimate panel of 100 mm thickness.